3. “How we meet that unmet need? (What product/ services we will design & create or enhance to meet the unmet need). Innovation requires organizations to go beyond understanding the ‘Voice of The Customers”“Slipping into their shoes” or “knowing their conscious mind” to a newer level -“Seeping into their unconscious mind observing several of their behavioral trends” to comprehend what they will appreciate in future products and services by way of its unique functional features & attributes (tangible and intangible). TREND (Reference 2) is all about understanding people, the populations they form part of, and most important of all for a business, understanding what motivates them to spend their money. The basic idea behind recognizing trend is that the most powerful forces in our society are the emerging, counterintuitive trends that are shaping tomorrow right before us. For e.g. need to stay fitter, Yeh DIL MANGE MORE attitude, a smaller car but a bigger house first, few years later both get bigger & bigger, getting attached to one “sect” & creating more diversity of sects are all forming part of trends. “Jain food” is one such trend which does not meant food for “Jains” but food that is devoid of onion or garlic which is even preferred by the rest of the population. While people are eating healthier food than ever, number of chat shops shows an increasing trend as they are frequented by a sizeable population. I-pod, I-phone are not the result of customer surveys but a deeper understanding of behavioral pattern observed in few individuals which soon was embraced by the rest. The power of extreme individual choices has never been greater and the reasons and patterns for those choices never harder to understand and analyze. Identifying small, intense subgroups and communicating with them about their individual needs and wants has never more critical in marketing than now. Small groups, drawn together by shared needs, habits and preferences are on the rise. Thus a trend is a behavioral aspect by an intense identity group that grows a need and influence behavior of a larger population not met by the existing businesses. Most managers can articulate the major trends of the day. But in the course of conducting field and market research in a number of industries and working directly with the companies, they often fail to recognize the less obvious but profound ways these trends are influencing customer aspirations, attitudes, and behaviors. This is especially true of trends that managers view as peripheral to their core markets. Consequently, they ignore trends in their innovation strategies, include product features that only superficially address a trend’s impact on consumers, or they adopt a wait-and-see approach and let competitors take the lead. At a minimum, such responses result in missed profit opportunities or wasteful investments in R & D. At the extreme, they can jeopardize a company by ceding to rivals the opportunity to transform the industry. Most firms naturally think of themselves as offering products within defined categories. (“we make cosmetics” We make Automobiles” “We are apparel company” “We are bank” etc This often directs innovation efforts toward customer needs that have been considered relevant to the category and need of the population as a whole is ignored. (http://www.canadiancontent.net/mobile/phone_pictures/siemens-xelibri-6.jpg), a Smartphone for women that contained two mirrors and was designed like a makeup compact but could not actually hold make up. The rise of digital media has prompted consumers to seek products that allow them to multitask, but Siemens didn’t appreciate that people expect such products to deliver this benefit in substance, not just in form. Ill-conceived offerings that don’t speak to consumers new needs or desires often dilute rather than enhance, the brand’s equity, thus responding to a trend in a superficial way doesn’t help. 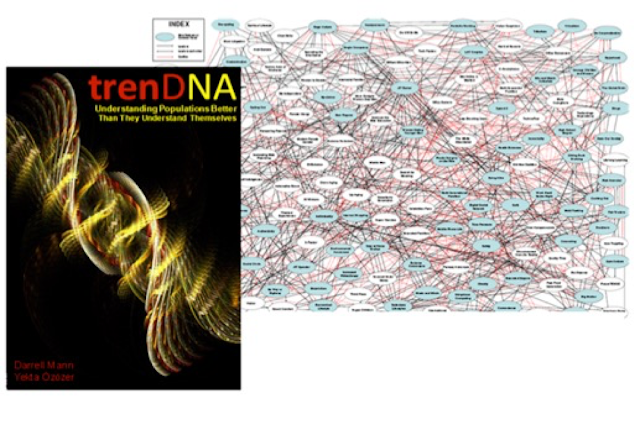 The approach I am going to discuss hereon is summary of my understanding of “trenDNA” a six years of research by Systematic Innovation GURU Darrell Mann and his Turkish counterpart Yekta Ozozer. The main theme of the book is “Understanding Populations Better than They Understand themselves” by understanding trends and their connections with each other. trenDNA is about observing patterns of behaviors that form a trend & re-focusing the way we look at world. It is a tool for firmer predictions about the future not just by looking at the trends but looking at the conflicts and synergies between trends. The book contains 160 + trend cards each describing a unique behavioral pattern (trend) which is distinct from the other. Authors claim that during their research they have come across more than 1000 trends & were considered for a detailed assessment, after intense deliberations they rationalized them based on their resemblance finally sizing them up to 160+ unique trends. One chapter is exclusively devoted to trend mapping strategies suggesting use of these trends for getting customer insight & into their probable needs. At the back of the book a list of winning solution strategies have been summarized. The strategies may appear abstract for people who do not have basic orientation to systematic innovation methods,(check my post : 'Systematic Innovation Toolkit' https://www.linkedin.com/pulse/systematic-innovation-toolkit-prashant-joglekar?trk=mp-author-card) for others it can help pointing towards possible innovation directions based on the clues provided by trend mapping strategies. This first part being an introductory part, I will touch upon briefly the key concepts of trenDNA and its overall map. 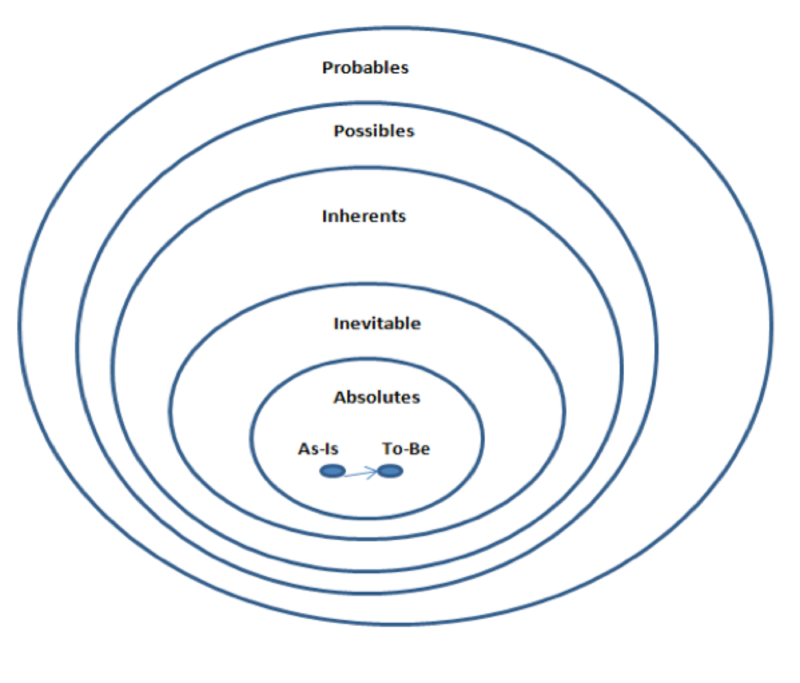 At the core of the map, is ‘as-is’ and ‘to-be’ the two key elements of any innovation project. 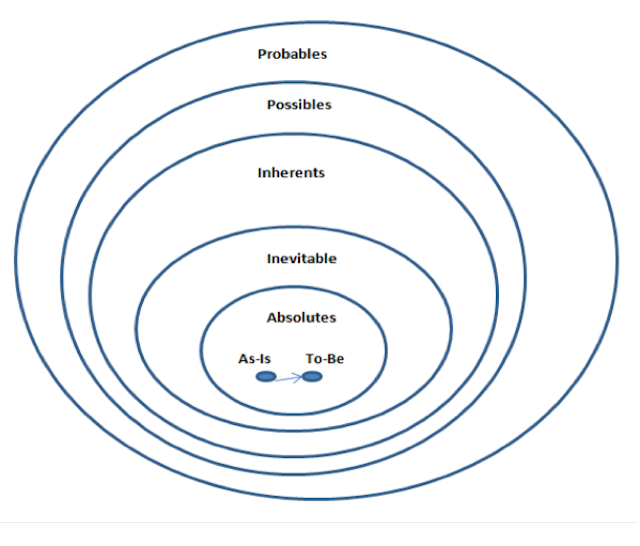 ‘As-is “part is where the things are as they are as on date and ‘to-be’ part is the future state which might be an ideal state as foreseen by the team or sponsor of the project. It might happen that there is no ‘as-is’ part and the canvas is completely blank, these are typical situations where a CEO asks his team a need to create new growth engines & business verticals. The next in the map is “absolutes’ where we identify the function delivered by a product & services few may term this as ‘jobs to be done’ or ‘likely benefit’. The reason to think more deeply about the function is to unravel the functions beyond tangibles and finding the likely areas to innovate or finding out an alternate way of delivering the same function as is done by some of the other industries who may not be your direct competitors. The ‘inevitable’, next in the map is all about data driven predictions may be a simple example of this could be if a shaving products company wants to predict the demand for their products in next few years then they can have the data of the number of students passing out of the college and starting their carrier as a professional. They may or have to shave regularly in their new life, (They may not be shaving daily in their earlier “student life”) So such a prediction if not accurate can provide a reasonable estimate of the product sales growth. The next in the map is ‘inherent’ which will make us understand the higher order effects. Taking the shaving example further we might realize that “shaving is not considered as a “cool thing” and it’s best to have some trimmed beard on one’s chin to attract & retain attention of “interested parties”JJ. This may make you think about the investments that you might make in augmenting the production facilities of your existing products. Instead you might think of something else for making your top line grow or at least stay even. The two key themes have been introduced here may be we can call them vehicles of trenDNA. The first one is based on the different thinking styles (thinking gears) that an individual, group or society at large have. This is based on pioneering work by Dr. Clare Graves on “Spiral Dynamics”( Reference 5) which is about how thinking style changes depending on the change in the external situations and affect the behavior of an individual, group or society at large. These thinking styles are used as a dimension in comprehending the trend thereby understand customer & plan out future things (e.g. transformations in the organization, predicting buying behaviors etc). 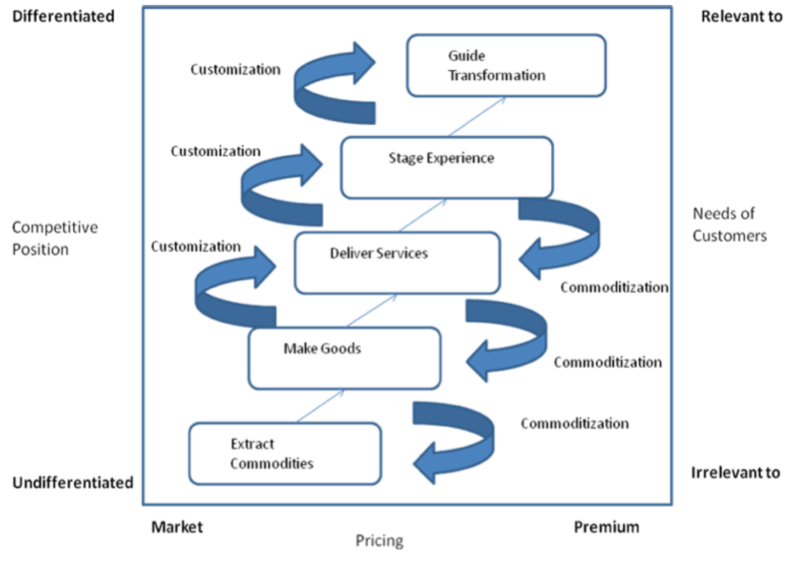 The other concept is based on “William Strauss & Neil Howe’s” pioneering work on generation cycles (The Forth Turning6) the basic premise of the work is; generation cycle repeats itself after certain years so one can have a better understanding of the current generations based on the attributes possessed by its equivalent generation of the past. Each generation cycle is known to repeat after every 80 years, so if you want to understand the GEN Y or HERO generation (born during 1980-2001) then it is best to correlate them with people born previously between 1900-1925. This provide good basis for understanding different generations & their key attributes as a consumer/ customer. Each trend is further classified based on the thinking style it represents and generation with which it finds the closest match. The next stage is “Probables” where all the market and consumer trends that marketers spend so much of their time talking about are found. The job is describing this forth level is to make sense out of what is going to turn out to be close to two hundred individual trends. The section also help us arrange the trend database in a meaningful manner so that if we know what age group our customers are and what is probably their thinking style is then we can consider only those trends to work with that fits the selection. 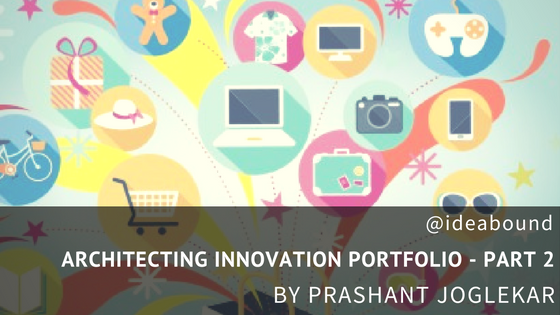 This can give us some early lead in innovating in products and services that will satisfy this segment. The last one is “Possible” the authors here are quite open to accepting any such event which may have a distant correlation with the purchases made by the consumers. Now in India we already have such correlation where certain days are considered auspicious for purchases as the planetary position favors to do so. As we know smart Marketers in India are already exploiting and cashing out on such events. We will see in some detail of each area of the map in the next few posts. Why should I consider trenDNA approach for scouting new business opportunities or understanding the missing ones in the existing one? Once motive is clear commitment follows let us see some of these motives. Any innovation project or for that matter any improvement project starts with documenting “As-Is” & “To-Be” state of improvement parameters e.g. “Increase Revenue By X % or by X folds in next Y years” or “Cut Cost By Z %” “Improve Customer Satisfaction Score by “S” units or “Develop New Business with Product & Services that will add R % to the top line” etc”. If you are leading the project which has goals like this then you are completely lost at the start. Where & How to start is the next question on top of your mind. You may just start doing it to know later that what was started was not the best of the approach. You might then feel that I should have got enough time for thinking before doing. But most of the time need of the moment is action rather than thinking and unfortunately time spend on thinking is considered as procrastination. This happens because there is no methodical approach available to our thinking According to me trenDNA coupled with Systematic Innovation can best aid our efforts. If your company is undertaking a market survey trying to talk to customers & understand what they want better from your products & services, then advice by the author is to think again. Sometimes people are asked to find out what customer wants within few days before a product development cycle is undertaken. The result of such quick survey often leads to a product that either overshoots or undershoots existing customer requirements & looks like a sibling or at best a cousin of what is already available in the market. They however recommend with their experience that the resources otherwise spent on surveys can be better utilized in testing the product before launch. In author’s own words more you practice (with concepts) with trend mapping the luckier you will get. J One of the companies they work with, depend significantly on trend mapping & build its understanding of customer’s unrealized needs to come up with a differentiated product / service. Some of the growth indicators in the Indian context are summarized in Annexure II. Every organization would like to have maximum share of those growth numbers and hence would like to innovate and introduce products and services that creates differentiation. The organization that understands the need of the customer who is at the core of these numbers will stay ahead in the race. The trend shows that customers are more and more interested in ultimate NIRVANA :)(The experience) and at that stage they are ready to shell out more from their wallet t that they would at all the previous stages. The forward trend is “customization” & the backward is “commoditization”, to stay well ahead of the competition organizations needs to create more experiences through their product & services else they will have to fiercely fight in the “RED” ocean instead of creating a “BLUE”. (Reference 9) The figure below depicts the point. For moving upward in the graph in order to have more pie of the customer’s wallet the organizations need to observe, recognize and capture trends & create experiences. The Halo Effect (Reference 8) Observes that those organizations that correctly determine “What” part, stays ahead of competition because from start their resource productivity and efficiency is far better that their competitors. For competitors it becomes difficult to catch up and eventually even if they do, they exhaust themselves by then, losing stamina in the process for their possible next run. 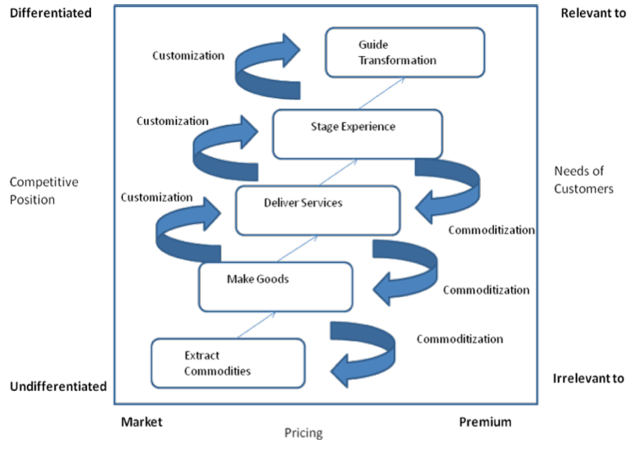 The next parts will describe in sequence the trenDNA concept in some more detail, the innovation challenge identification process and finally integration with Systematic Innovation to unfold a structure of an “end to end” innovation process which any organization would like to implement. Connect & explore how we can work on this to identify most desirable customer needs for your organisation's products & services.